Armando Menicacci is a musicologist and dance researcher. He has studied several years of dance (Vaganova technique), piano and music composition in Italy. He has a BA in History of Music at the Rome University La Sapienza and is now a PhD candidate at Paris VIII University on the use of digital technology in dance education. As a member of Anomos he organized with Emanuele Quinz a section of the international symposium ISEA (2000) on the new interfaces between body and machines. He is the director of Mediadanse at Paris VIII Dance Department laboratory (created with the support of the Anomos association). Mediadanse is mainly oriented towards research about dance and digital media, and in the lab he teaches Computer Assisted Choreography. He has published several books about music and dance. His last book, which he co-edited with Emanuele Quinz, is La Scena Digitale Nuovi media per la danza (Venezia: Marsilio, 2001): it is about the relationship between dance and new media. He also writes for the annual publications Anomalie digital_arts, the fourth issue of this series was titled "Interfaces" and appeared in 2004. Armando also works for different institutions and choreographers as an artistic consultant and dramaturge. 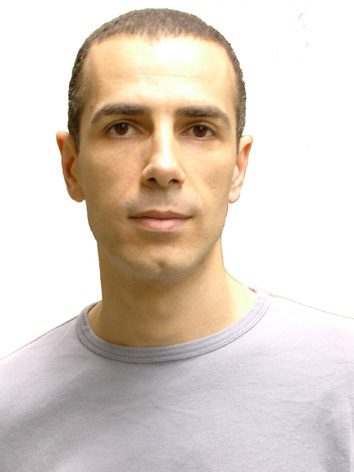 At the 2004 Monaco Dance Forum he co-directed the week-long research activities of the Tech Lab ("Extending Perception"), which has the aim of exploring how interactive technology systems might be customized to create a feedback environment (using sonic and visual cues) for a trained dancer/ performer that might increase their already high level of body awareness and perception. He also assisted in the production of Rachid Ouramdane's new solo dance work , which was shown at Salle Nijinsky (Grimaldi Forum) during the 2004 MDF (Monaco Dance Forum). He's preparing, with Emanuele Quinz, a new book on History and aesthetics of the relationship between dance and technology and a DVDROM about the Body movement analysis by Hubert Godard. He's working with the french choreographers Rachid Ouramdane and has worked with Alain Buffard. Among his artistic/research work are the generative dance score website "Underscore" and the interactive installation "Terra Incognita" (Museum of Contemporary Art in Fortaleza-Brazil (2005).